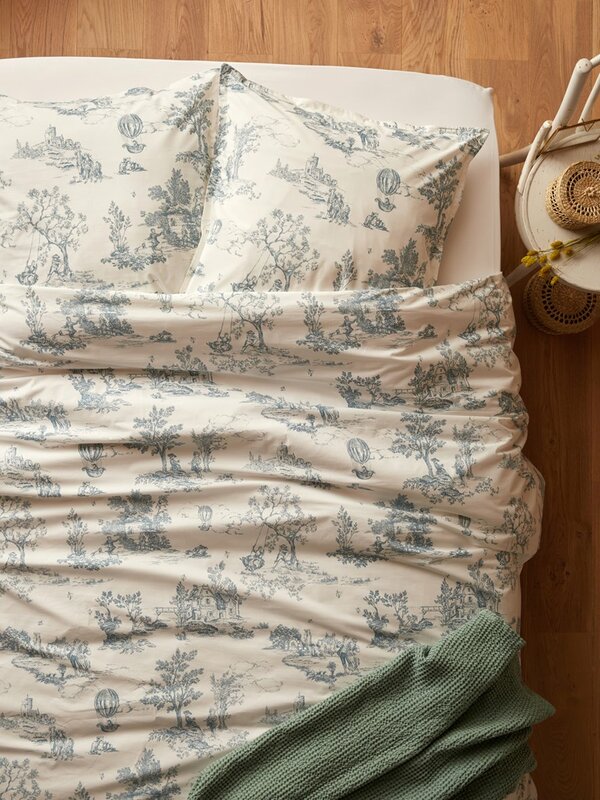 Solid colour fitted sheet to match the Jouy Spirit bed set. Elastic corners. Pocket depth, 25cm approx. Made in Portugal. Product shipped by lorry to limit carbon emissions. 100% cotton percale (80 threads/cm2) offers long-lasting softness. 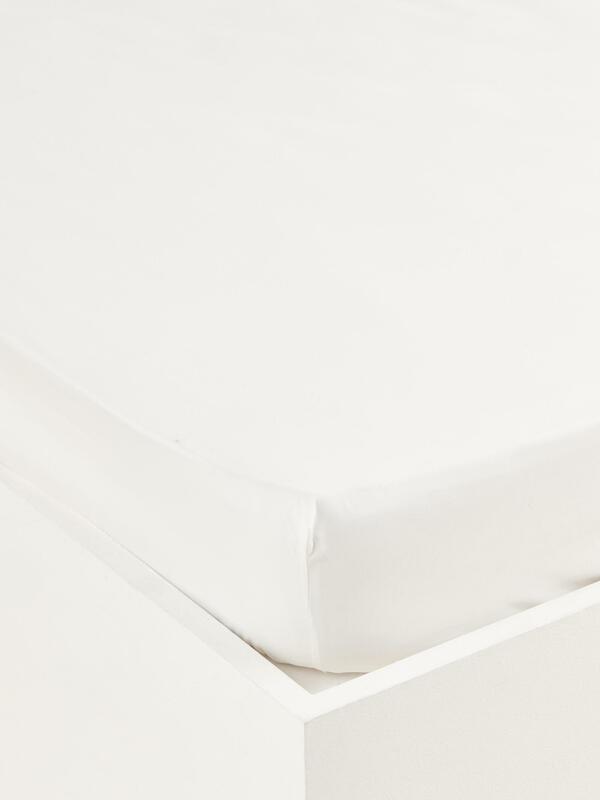 Percale is a lightweight cotton fabric. Its smooth tight weave makes it particularly soft and long-lasting.